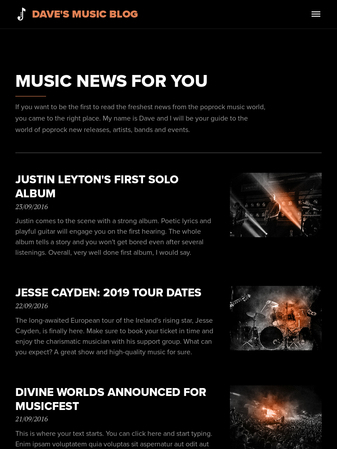 The perfect template for all blogs filled with news about the music world. 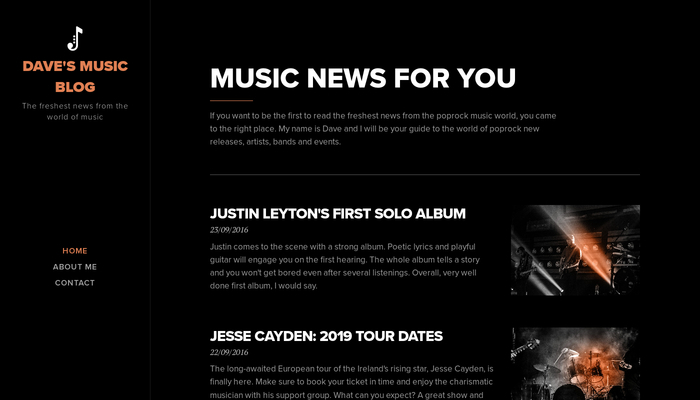 Add blog posts, concert and album reviews, interviews and much more to this modern template with a side menu. Keep your visitors in the loop with all the freshest articles from the world of your favorite musical style.